DID YOU KNOW: exactly 12 organ systems govern bodily function? Those vital organ systems (together with the glands) include the lungs, large intestine, stomach, spleen, heart, small intestine, liver, gall bladder, pericardium, metabolic system, kidney and urinary bladder. 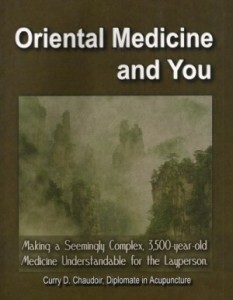 To read more, check out the soon-to-be-released book, ORIENTAL MEDICINE AND YOU. Ingredients: 1 leek, diced (optional) 2 carrots, sliced 1 cup cabbage, chopped 2 cups winter squash or pumpkin, diced 2 quarts hot water 1/2 teaspoon sea salt 1 teaspoon oil Directions: Saute leeks, carrots, cabbage and squash for 10 minutes. Add water and salt. Reduce heat. Simmer for 35 minutes. Serves 8. Recommended Reading: The Safe Shopper’s Bible. Ever wonder if there are dangerous ingredients in household products, cosmetics and food? Check out this book: The Safe Shopper’s Bible! By David Steinman & Samuel Epstein. A patient of ours recently reported that her calcium supplements (low quality from Walmart) had propylene glycol (antifreeze) in it! Knockout by Suzanne Somers! Curry says this was the book of the year. It came out in 2009. Check it out immediately if you know someone with cancer. It’ll blow your mind! 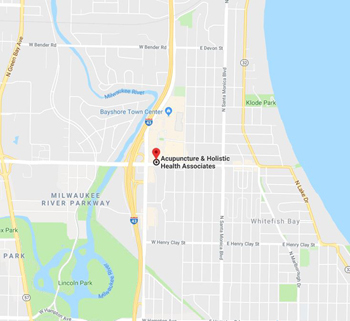 We were voted one of the top clinics in Milwaukee! Last October, all of Milwaukee voted for their favorite establishments via WISN’s Alist. In the acupuncture category, we were voted one of the top clinics! Thank you all for making this happen! Click HERE for more details.